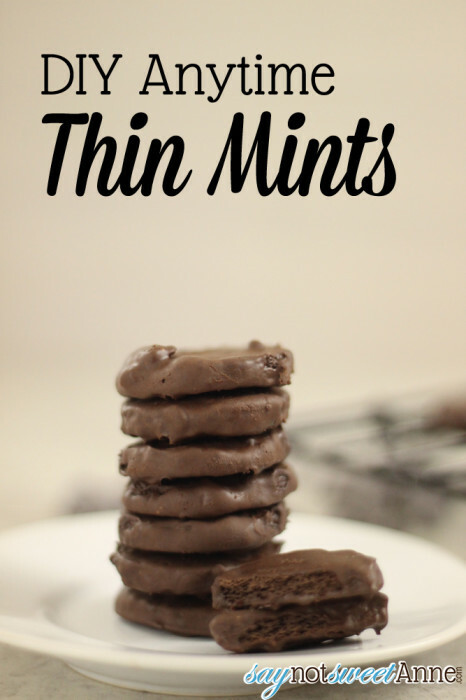 Did you know that thin mints are the most popular Girl Scout cookie? Every year literally millions of these cookies are sold. But, the delicious temptation of a thin mint paired with the seasonal sales cycle of The Girl Scouts presents a problem for me. You see, I really can’t afford to have more than one box in the house at any time. Why? Because I’ll eat it. But, since the cookies aren’t sold year-round that means that I can only buy one from the Scouts and then suffer the rest of the year thin-mint-less. That is, until now. And that is how it began. I ran out to get some chocolate graham crackers, coated them in mint chocolate and voila! These amazingly delicious, crispy, cool-mint cookies were born. 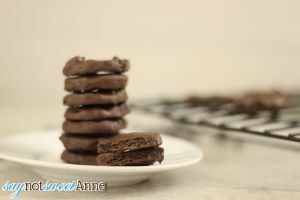 Did I mention that these cookies are crazy easy to make? I’ll never want for thin mints again! 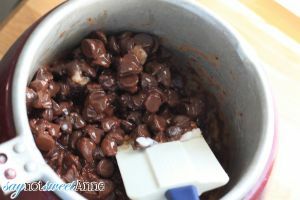 Prepare the chocolate by adding 1 tsp of coconut oil to 8oz of chips in a chocolate melter. (You could also melt in 15 sec intervals in the microwave or with a double boiler) Once melted, add peppermint a drop at a time until you reach desired mintiness. If you want your cookies round like thin mints, use a circle cookie cutter to cut out the grahams. I do this sometimes, but more often just break the grahams into rectangles and leave it at that. 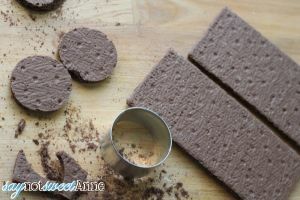 Dip the grahams into the chocolate and allow to cool on wax paper, or on a drip rack. Store your cookies in an air-tight container on the counter for a few days, or in the freeze for a few weeks!! I hear ya on the Girl Scout cookies. I usually only buy 2 boxes per year – the Peanut Butter ones (I think Tagalongs) and the Somoas. I can’t get the thin mints because my boyfriend doesn’t really like them and then I get stuck eating them myself! Great tutorial, Kayla! Thanks Julie I hope you try them and let me know what you think!